The countdown has commenced: the eagerly-anticipated 2018 FIFA World Cup is set to begin on 14 June, 2018 in Russia. Football fans must live in their land but with heart gone to Russia already. With tthis year's FIFA world Cup in full swing, it might as well have a review on the most-viewed World Cup videos on YouTube so that you can tough out the torturous waiting time. We'll update the list of most viewed FIFA highlights and popular football videos on YouTube. Plus, you can download these popular game videos of FIFA world cup from YouTube using a free YouTube downloader. Free download the most popular FIFA world cup 2018 2014 of all time from YouTube and 300 more video sites in HD 1080p/720p, 4K 2160p UHD, MP4, MKV, FLV, MOV etc. in fast speed and 100% original quality. Soundtracked by Will Smith, Nicky Jam, Era Istrefi, Live It Up, the theme song for 2018 Russia World Cup has the World Cup vibe to it. "One Live, live it up. 'cause we got one life" But compared to 2018 anthem Waka Wakaby Shakira, this year's official song is not living up to fans' expectations. Anyway, you can free download 2018 World Cup Russia theme songs, anthems and promo songs for offline listening or making ringtones. This is the most exciting match full of highlights in 2018 FIFA World Cup Russia. Cristiano Ronaldo's hat-trick (the first on in 2018 WC) and last free-kick earned Portugal a 3-3 draw with Spain. The highlight video is trending #1 in many countries. Russia v Saudi Arabia is the opening match of 2018 World Cup. Russia and Saudi Arabia are the lowest ranked teams but the match is wonderful. Russia got a good start with an amazing 5-0 victory over Saudi Arabia. The no. 1 world cup video on YouTube goes to the 2002 highlights collection which includes the splendid skills shot by Svensson - Sweden vs. Senegal, Mansiz-Brazil vs. Turkey, Figo-Portugal vs. USA ,Blanco-Mexico vs. Italy and more. The latest: 2018 World Cup highlights. Maybe you would say the YouTube video is irrelevant with World Cup. Well, though it's a commercial ad for Pepsi with David Beckham, Raul, Roberto Carlos, Juan Sebstian Veron, Emmanuel Petit, Rui Costa and Edgar Davids, it's based on 2002 Korea & Japan World Cup that it applies the famous Japanese sumo wrestlers to compete with Beckham, petit, etc. And this funny YouTube video can burst your side with laughter. Wow, Ronaldo, one of the most prolific scorers in the 1990's and in the early 21st century, is a football player full of legends. He has played for Brazil in 97 international matches, amassing 62 goals and was a part of the Brazilian squad that won the 1994, and 2002 World Cups. 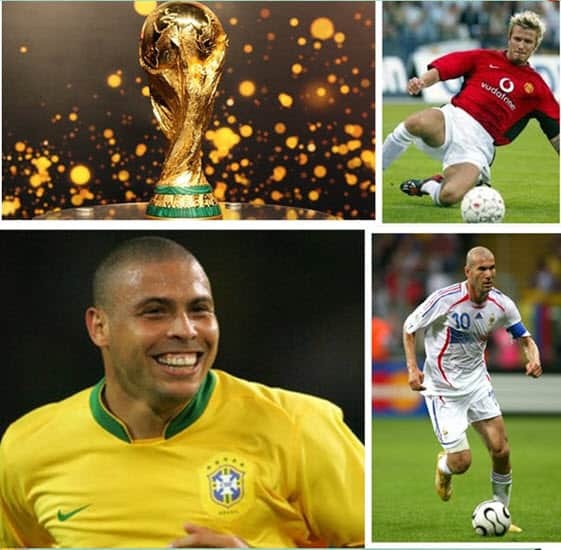 During the 2006 World Cup, Ronaldo became the highest goalscorer in the history of the World Cup with his fifteenth goal. This most popular YouTube video shows you all of his world-record World Cup goals. In case you are the big fan of Zidane, you must remember 2006 World Cup and the event that Zidane headbutted Materazzi because of Materazzi's insult. And finally he was sent off. This video is the reappearance of that scene. The latest 2010 World Cup in South Africa is brimming with various surprises. In this video, you can look back on the top ten best goals made by Giovanni Van Bronckhorst, Keisuke Honda, Maicon, Diego Forlan, David Villa, etc. This video shows a part of the fantastic match between Portugal and Spain, in which Ronaldo wears a white shirt and the Spain players are dressed in red uniforms. They offered a visual feast to the loyal fans. Aside from the FIFA World Cup videos warmly received, the fair-sounding World Cup theme song is also indispensable. 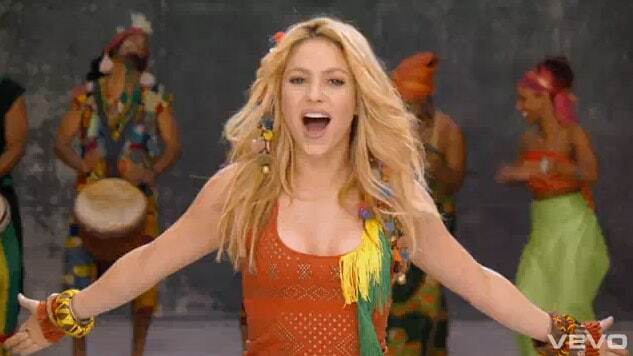 One of the most famous World Cup songs is 2010 South Africa World Cup theme music-Waka Waka. It becomes a global hit that transcends the time of the mundial. Seemingly Ricky Martin is talking about something other than football in this song. But his rousing ludicrous screamer brings soccer anthems to a new level when it makes charts worldwide and officially sets off the so-called Latin music explosion when he performs it on the Grammys. The 2014 FIFA World Cup Brazil unveiled its theme songs Todo Mundo and Dare (La la la). Now another newly-hot theme song The World is Ours comes to excite your ear. This song is awash with energy and passion, which is the very song for Brazil World Cup and hot summer. Also check out the hottest World Cup fans. It was the official anthem for the 2010 FIFA World Cup song by American singer R.Kelly. This song received generally positive critical reception and attracted over 9 million views. 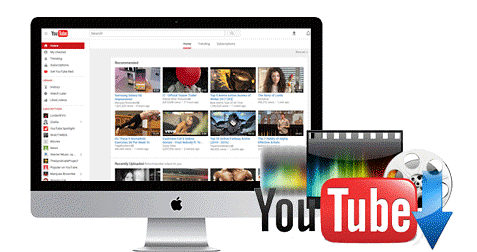 Tips: on the condition that you yearn for downloading these popular World Cup videos from YouTube, MacX YouTube Downloader is just the one you can count on. It can no only download FIFA highlights, match videos, and more, but also download World Cup theme songs We Are One Ole Ola, Dare La La La, We Are Racists, etc barely in a flash. MacX YouTube Downloader let fans free download FIFA World Cup 2018, 2014, of all time most-viewed videos, highlights, theme song videos, match video, clips etc. from YouTube, Facebook, ESPN, CBS, etc. 300+ sites for offline playback on iPhone, Android, HD TVs etc.